A dramatic dish! Try al dente spaghetti with the black squid ink sauce to add both a sea tang and a deep black glow to your pasta bowl. 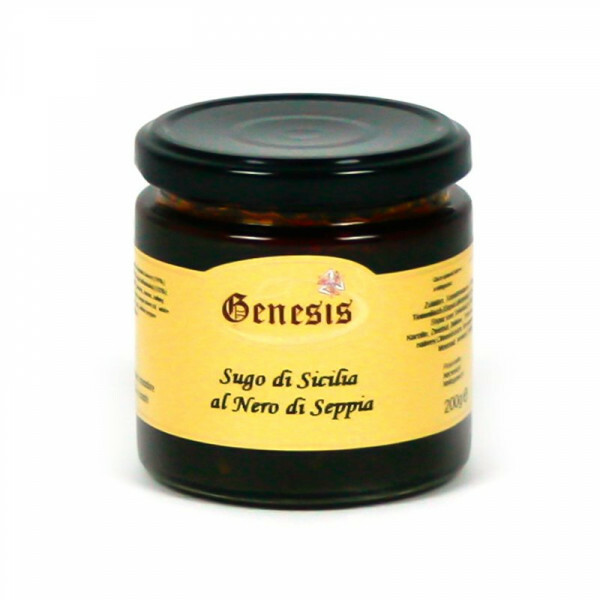 This intriguing sauce is one of the most common and oldest seafood recipes from Sicily and exhalts one the Mediterranean islands most popular charms, the calamaro or squid. 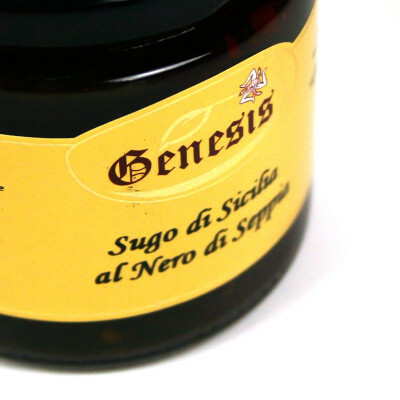 This is a classic sauce for spaghetti. try it also with rice for a special black risotto. Tomato sauce, squid (20%), squid ink (2%), onion, carrot, celery, white wine, extra virgin olive oil, black pepper, sea salt. CELERY, FISH.